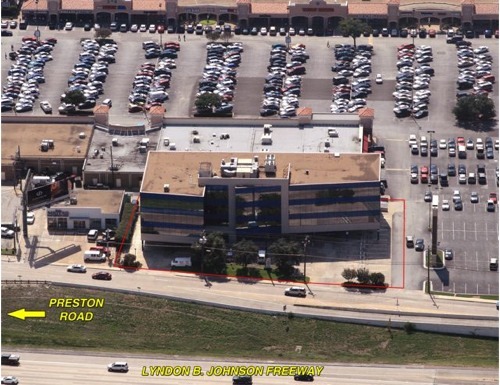 Preston LBJ is located at the SWC of LBJ Freeway (I-635) and Preston Road in the heart of North Dallas. The four-story office building offers convenient access to the Galleria, and major arteries such as Dallas North Tollway and Central Expressway (US 75). Multiple restaurants are within walking distance in the adjacent shopping center. Tenants include TY Commercial Group, Office Machines and SciCareers. Covered parking and executive suites are available.